Fresno State receives a grant for irrigation innovation. 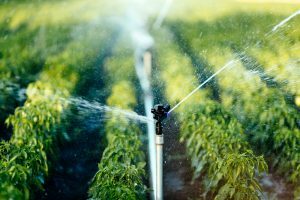 Fresno State’s Jordan College of Agriculture was one of five universities across the nation selected to receive a grant for its efforts with irrigation innovation. The college’s Center for Irrigation Technologies has been involved with irrigation research since 1980, school officials said. Collectively the universities will use the grant to launch the Irrigation Innovation Consortium. David Zoldoske, project manager for Fresno State said the partnership between the schools will add value to the development of irrigation efficiency. Zoldoske said the research and new development will be beneficial for California growers come 2020 when the Sustainable Groundwater Management Act, SGMA comes into effect. For more on this, listen to Zoldoske’s interview here.